Research has found that statins used to help lower cholesterol and heart disease, have very few side effects. Statins are a group of medicines that can help lower the level of low-density lipoprotein (LDL) cholesterol (bad cholesterol) in the blood which can reduce your risk of heart attack and stroke. Seven million people in the UK take statins to help lower cholesterol and combat heart disease, but new research has revealed that they have almost no side effects. Scientists examined the results of 29 trials involving more than 80,000 people and found that only a small minority of side effects could be attributed to the use of statins. In fact, patients were found to have a greater number of serious adverse effects from inactive pills taken. 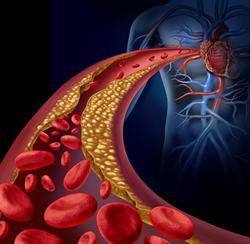 Results showed that statins only slightly reduced the risk of death from any cause, as well as the risk of having a stroke or heart attack in patients with or without vascular disease. A report, published in European Journal of Preventative Cardiology are hoping that drug regulators will provide clear evidence to patients about claims over side effects. Dr Judith Finegold, part of the team carrying out the research, said: “We clearly found that many patients in these trials – who are usually well-motivated volunteers who didn’t know if they were getting a real or placebo tablet - reported side effects while taking placebo. At present, people with a 20% risk of developing cardiovascular disease within ten years are offered statins but this is being altered to include all people with a 10% risk as well. The NHS estimates that statins save 7,000 lives a year in the UK and now, this research has provided a new approach to assessing the risks and benefits of using statins.